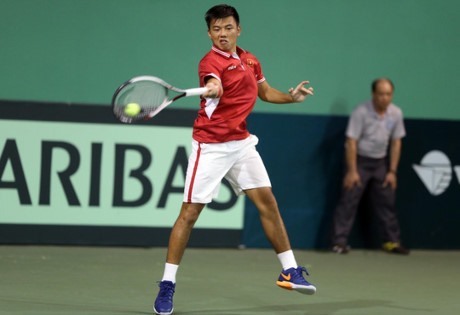 The Vietnamese on February 15 morning beat qualifier Peng Changwei of the host nation 6-1, 6-4 in the first round match. He will next face seed No 1 Danilo Petrovic of Serbia. Petrovic, who beat Japanese Issei Okamura in another match, is world No 321, while Nam is No 634. Nam is also participating in the doubles event, pairing with Chinese Sun Fajing. They will play host duo Wang Aoxiong and Wu Hao in the first round match./.